If you have been following European politics and media, online and offline, for the past 5-6 years, you cannot but notice the genesis of a European Public Sphere . This sphere may be more or less evolved depending on national media, but it is clearly there – much more than it was before the last European elections and before the start of the crisis. It’s easy to look back to the constant debates around the crisis, the Troika decisions and other economic and financial discussions to find a synchronised reporting about European developments and more intensive reporting about EU-level and cross border politics that matter for all citizens and business across the EU. The fact that national elections in France, Greece, Italy or Germany in recent years have received considerable media attention across Europe shows that national publics realise that what happens politically across the border matters. 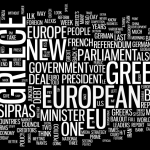 The border between national, transnational and European politics start to blur, for example when Spanish media cover German-Greek discussions around the start of the Greek EU Council Presidency. The Lampedusa tragedy last year was another moment where an event at the borders of the Union sparked political and social discussions all around the Union about migration, human rights and solidarity in Europe. Those discussions about the reality of external migration have continued in European media and politics until today, and they are likely to continue. The current discussions about free movement of EU citizens from Romania and Bulgaria are yet another proof that we have entered into a phase where cross-boder migration, economic situations and political rent-seeking generate debates within countries and across the Union, after youth unemployment (and potential related migration) had already become a cross-border issues over the past year. The fierce UK debate in the past weeks and months around the lifting of working restrictions for Romanians and Bulgarians as not just led to reactions in Bulgarian media but prompted public discussions between Bulgarian and British politicians. It has spilled over to the Netherlands, and related debates happen in France. The UK debate is now also a German debate, and Romanians in Germany start to react. And the German debate is covered in French media. The views of a European Commissioner is part of the discussions in Germany, while the Belgian press (via the AFP) asks how many EU citizens have actually moved to Romania and Bulgaria, not just from both countries. And in Austria, the media is also discussing why immigration is necessary. I made the prediction two years ago that the 2014 European elections will be huge, but seeing these discussion I actually did not highlight enough the effects that a growing European public sphere might have on these elections. It’s been mostly discussed that the crisis will strengthen Eurosceptic parties, but the discussions presented above show that we may be heading into what could become a pan-European debate about persons and about policies, in which traditional and new forces participate alike, in these 2014 elections. The fact that national and international media are already now speculating prominently about who might become the lead candidate for Commission President (and the other EU top jobs) is a huge change to the pre-electoral ignorance that the 2009 European faced until very short before election day. Online attention is also much higher than in 2008-09. And the fact that there are a number of topics, which have received pan-European attention, may allow pan-European political discussions around the European elections where political divisions may be as relevant between countries as they will be between political forces. 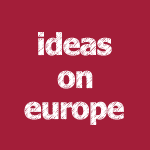 In any case, there is no doubt that the amount of pan-European political debate, the amount of coverage of the upcoming European elections and the potential of thematic spillover and synchronisation of national political spheres around highly salient political topics show that there has been a genesis of a European Public Sphere in the past 5 years. This sphere will not go away anymore and it will affect European politics for the years to come. Disclaimer: Certain aspects of the EU electoral process are part of my day job. This is however my private blog and thoughts expressed here thus only represent my personal opinions and views. This blog post has been slightly updated with linguistic corrections. This entry was posted in Current Affairs, Democracy & Citizenship, Media & Communications, Politics & Public Policy and tagged Bulgaria, European Parliament elections 2014, European Public Sphere, Lampedusa, migration, Romania. Bookmark the permalink. Lets hope we get some pre-election TV debates between the commission candidates – that would really change the political dynamic! See also my comment following Nils Müller’s post as addition to the argumentation in this blog post.